The weather reached 102 degrees in Minneapolis yesterday. Fortunately, we have air conditioning at home although our house is cool enough that we don’t really have to use it. 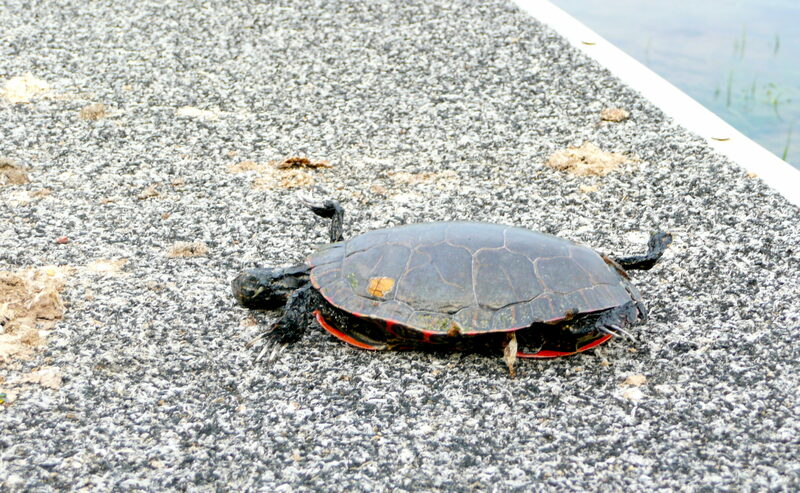 In hot weather, I move slow — but not as slow as this dead turtle. I found him on a dock in Lake Jane. I’m glad we’re back to “normal” Minnesota weather today.